B1755. Michael Smith. Voices of the Past, Vol.V - The H.M.V. 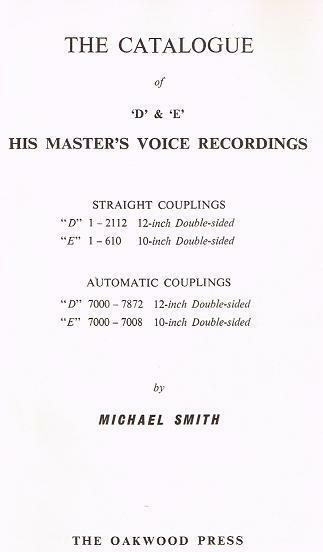 ‘D’ & ‘E’ Catalogue. Lingfield, England, Oakwood Press, 1961. 148pp. Index.